Apples are a favourite fruit variety all over the world. The fruit is easy to carry, contains no fat and contains few calories. Apples are rich in fibre (which prevents hunger), making them very popular during weight loss. According to archaeologists, people have been enjoying this type of fruit even since 6500 BC. Apples were very popular at the time of the Greeks and Romans. The love for the apple has always remained. Nowadays 7500 different kinds of apples are grown in the colours red, green and yellow. Of all the countries participating in apple cultivation, the largest producers are China, America, Italy and Poland. Enough reason to wonder: are apples healthy? In this column, you can read about the health benefits of apple, such as a strengthening of neurological health, a lower level of bad cholesterol and the prevention of type 2 diabetes. You also discover whether an apple helps (or counteracts) during weight loss. Strengthens neurological health: According to a study conducted at the University of Quebec, apples are very good for your neurological health. This type of fruit contains quercetin. Quercetin is an antioxidant that can overcome the death of cells through oxidation and inflammation of neurons. This protection ensures, among other things, that you are at less risk of Alzheimer’s disease. Reduced risk of stroke: A study in which 9208 men and women have been studied has shown that those who ate most apples in the last 28 years had the least chance of having a stroke. Lower levels of lousy cholesterol: Cholesterol was previously seen as something negative. Meanwhile, we find out that there is “good” and “bad” cholesterol. Depending on what you eat, your body reacts by adjusting your cholesterol level. Apples have a very beneficial effect on your cholesterol levels. They lower bad cholesterol (LDL) and raise healthy cholesterol (HDL). 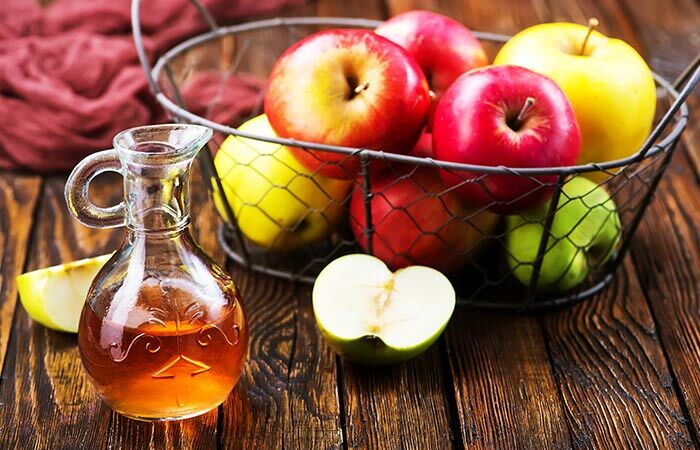 Reduction of the effects of asthma Apples are rich in polyphenols (antioxidants). These antioxidants can reduce the risk of asthma. Besides, research by the University of California has shown that lung function improves when one eats an apple per day. Can offer protection against cancer: Antioxidants protect your cells against free radicals. Antioxidants are necessary to keep your body healthy. Antioxidants are mainly found in fruits and vegetables, such as apples. The risk of lung cancer can be conquered thanks to the antioxidants in apples. A study from Hawaii shows that people who regularly eat apples, onions and white grapefruit have a 50% lower risk of lung cancer. According to researcher Rui Hai Liu, there is increasing evidence that an apple a day could help to prevent breast cancer. Liu says that eating apples will consume more phenol and that can have many benefits for your health. Note: the occurrence of cancer consists of more than just food. The antioxidants in apples play at most a role in the prevention of certain types of cancer. Helps prevent diabetes: A study with 187,382 people has shown that three servings of apple, raisins, grapes, blueberries or pears per week can reduce the risk of developing type 2 diabetes by 7%. Apples contain few calories and many nutrients, making them suitable for eating while losing weight. The fibres in apple reduce your appetite and keep the stomach and intestines in optimal condition. Nevertheless, it is wise to take into account that apples, like all other fruits, contain fructose (fruit sugar). The ingestion of too much fructose can slow down the weight or even prevent it altogether. It is therefore advisable to eat a maximum of 2 pieces of fruit per day during weight loss. Eat fruit preferably as early as possible in the day so that your body has time to burn the fruit sugars. If you want to lose weight speedily and healthy, see the article on healthy weight loss.